It might be the elaborate, tilting facades that hide centuries of stories between the stones, or the vibrant and all-embracing charm of the Dutch people. 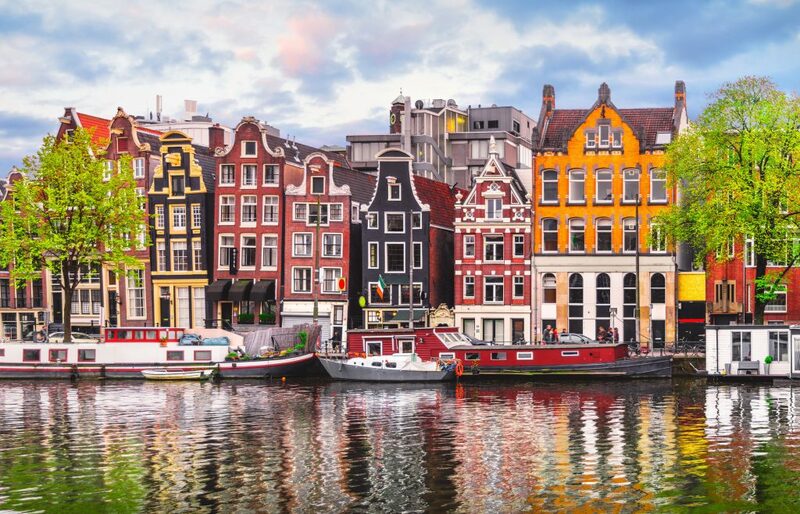 It might be the commitment to bicycles, or the overwhelming love for cheese and tulips and dance music, or the maze of picture-perfect canals… this city will captivate you. 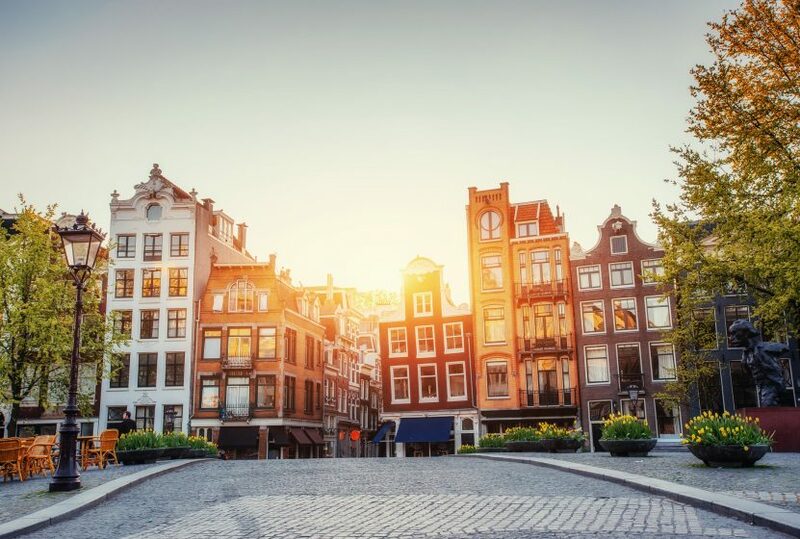 Amsterdam invites you, will accept you wholeheartedly and will undoubtedly woo you and leave you longing for a lifetime of sunny days to spend exploring its streets. While it would be near impossible to explore Amsterdam “the wrong way”, use this as a guide to experience the best that Amsterdam has to offer. Or at least my version of it. Though Spring and Summer are peak tourist season, this time of year brings bright blooms and sunny days perfect for cruising the canals by boat or on foot. 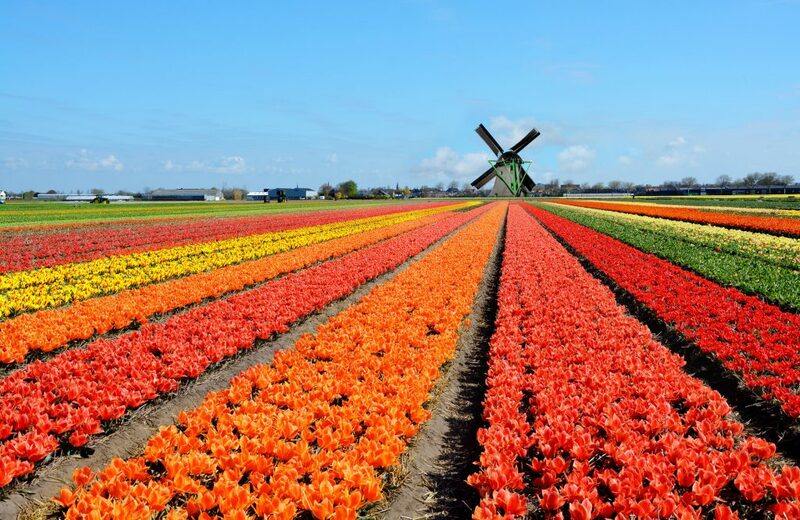 Head to Amsterdam in late April to catch the tulips blooming or anytime before late September for the best weather. If you’re looking for a deal, you’ll find it in the winter time. Flights and accommodations will be cheaper, but it’s a trade-off, as the winter in Amsterdam is chilly and grey. 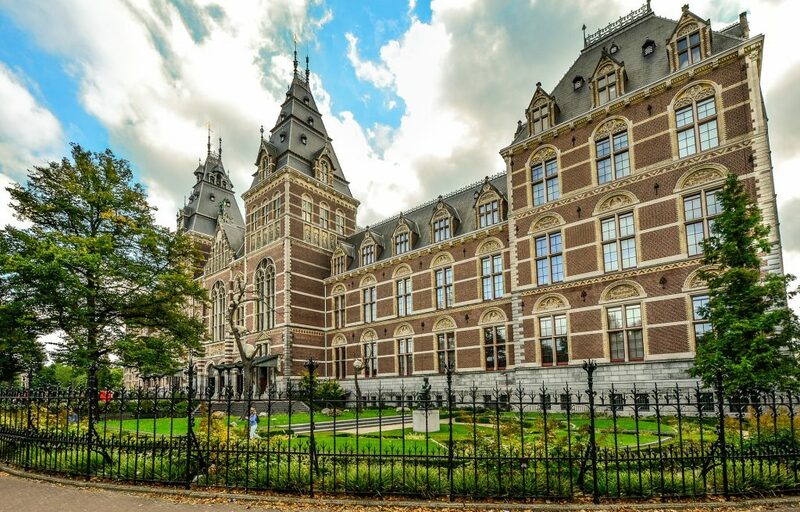 Whether or not you’re an art aficionado, this museum is home to some of the world’s most spectacular paintings from renowned Dutch artists like Rembrandt and Van Gogh, a collection of Delft pottery, a library that houses extensive documentation of art history, and other stunning exhibits that help you understand and appreciate the Dutch people and their past. Part of what makes the Netherlands so interesting to travelers is how open and accepting the culture is. 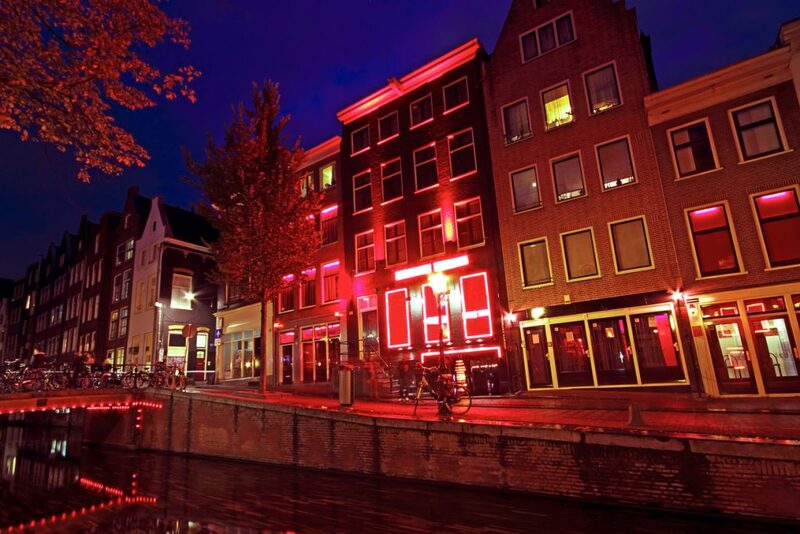 Prostitution has been a business here since the 14th century and carries on today, with prostitutes offering services from behind side-street windows illuminated by red lights in “De Wallen” – the best known red light district in Amsterdam. The area is also home to a number of coffee shops, where marijuana and psychedelic drugs are available for purchase. If you are visiting Amsterdam in the spring time (around mid-late April), paying a visit to the world-famous Keukenhof Gardens is a must. More than 7 million bulbs bloom here in the spring! But perhaps what is even more incredible than the garden are the seemingly endless flower carpets you drive through to get there. 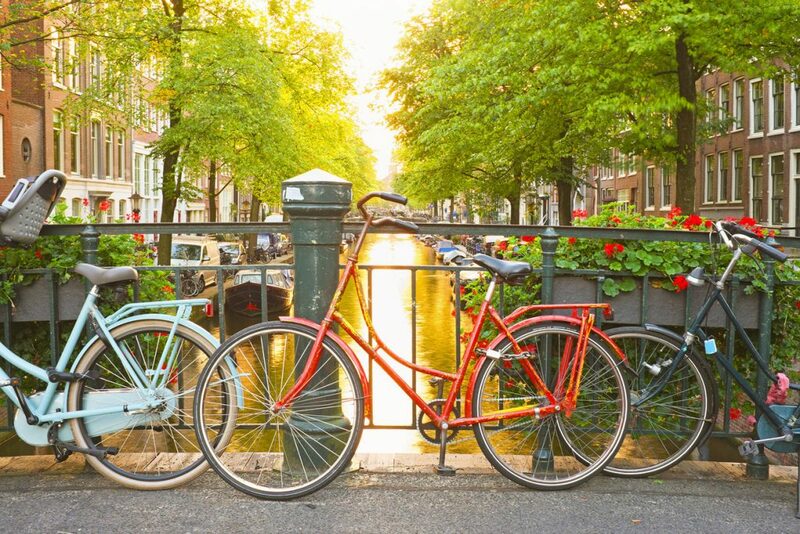 Although Amsterdam is only home to about 850,000 people, there are more than 1.1 million bicycles in the city! In fact, bicyclists have the right of way over pedestrians in the Netherlands. Riding a bike in Amsterdam is a quintessential Dutch experience… just make sure to stay in the designated bike lanes. 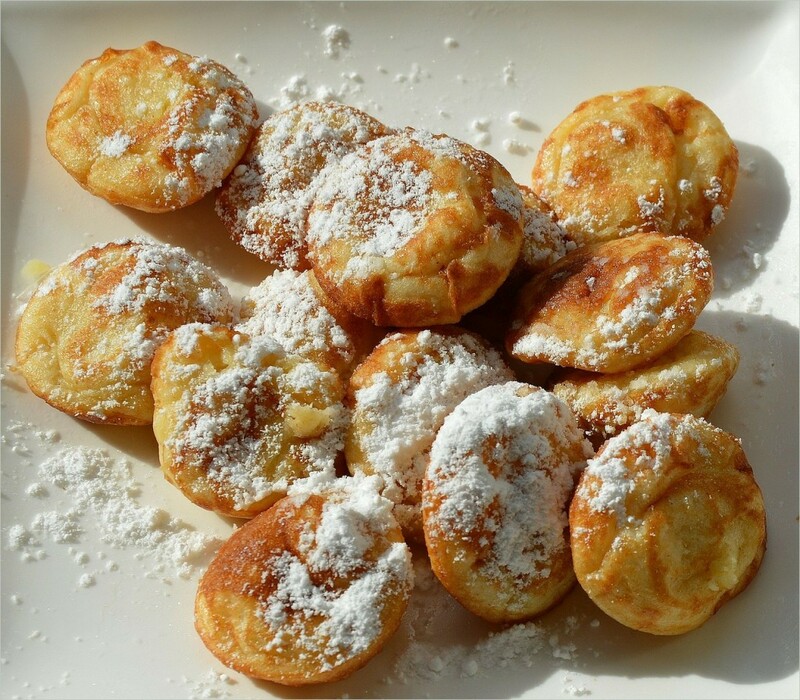 These miniature pancakes, traditionally served with butter and powdered sugar, are a Dutch favorite and can be found at pancake houses throughout the city. 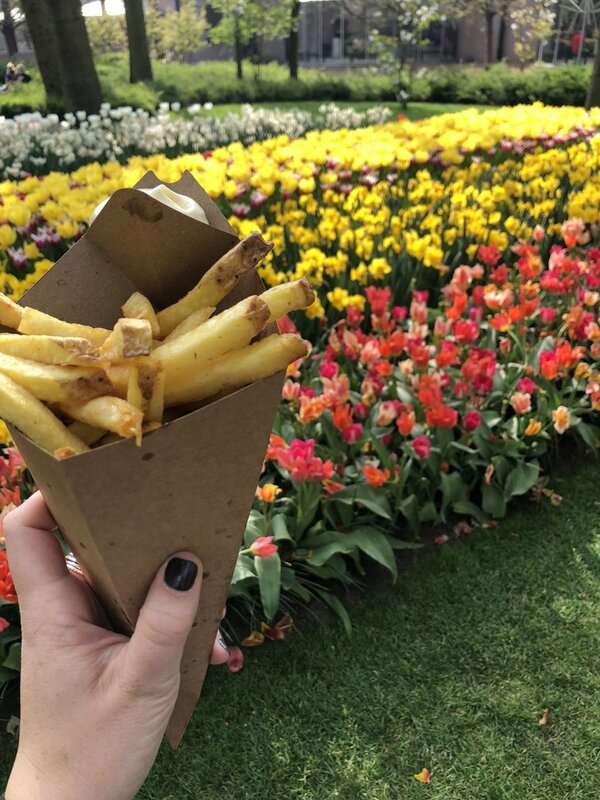 Though technically fries originated in neighboring Belgium, they are also a very popular Dutch snack. These thick-cut potato fries are likely to be served in a paper cone with mayonnaise for dipping. 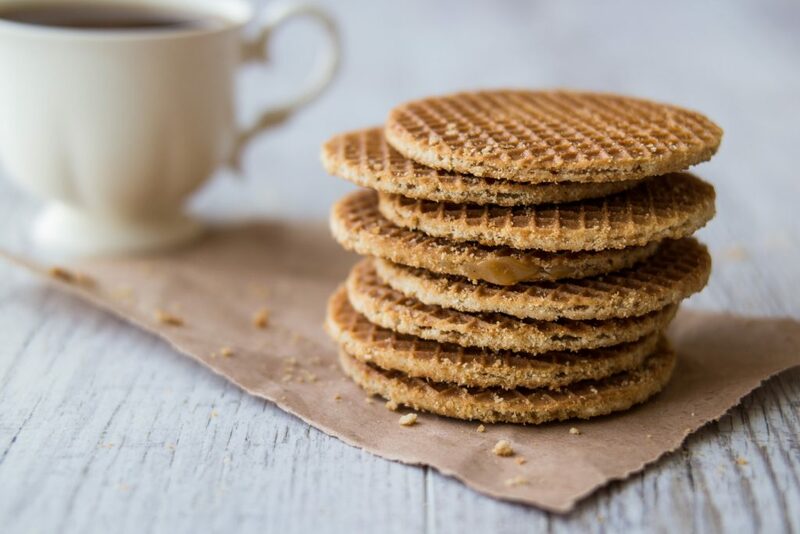 More of a cookie than a waffle, a stroopwafel consists of two thin wafer layers sandwiched together by a layer of caramel. They are intended to be eaten with hot tea or coffee and placed over the top of the cup to allow the wafer to soften. 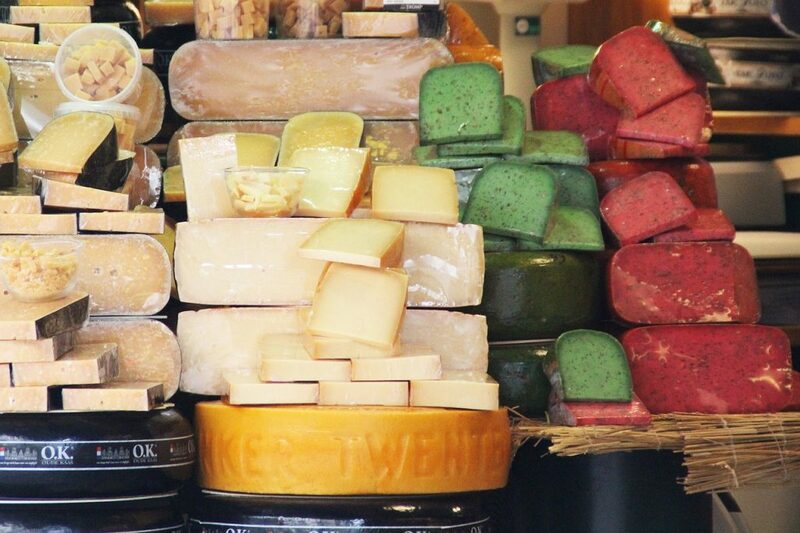 The Dutch produce many types of cheese, though Gouda is both the most well-known and accounts for more than half of the Netherlands’ cheese production. It is aged for months-years to allow the flavor to intensify. Indonesia (formerly the Dutch East Indies) was a Dutch colony for hundreds of years, only just recently gaining independence in 1949. After this victory, the Indonesian government sent people of mixed Indonesian-Dutch ancestry, as well as those who had assimilated to Dutch life back to reside in the Netherlands. When exploring Amsterdam, you’ll notice a large population of Indonesians and an even bigger influence on cuisine. Some of the best restaurants in the city serve Indonesian food and a visit to Amsterdam wouldn’t be complete without it! Is this a trick question? Have you SEEN this city? Nearly any facade or alleyway you walk by could be a postcard-worthy snapshot… but here are a few of my very favorites. 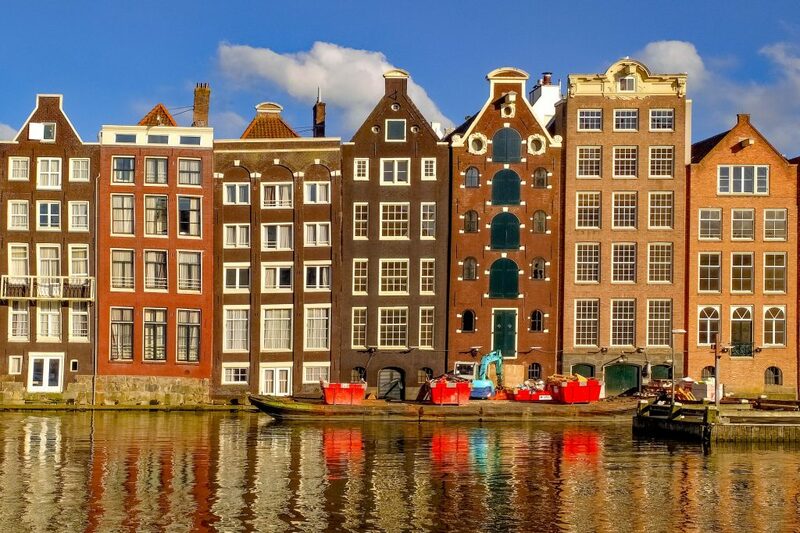 Many homes in Amsterdam were originally built on stilts that were drilled deep into the wet soil. Over time, the houses have begun to sink and tilt, making them lean and appear to be dancing with one another. 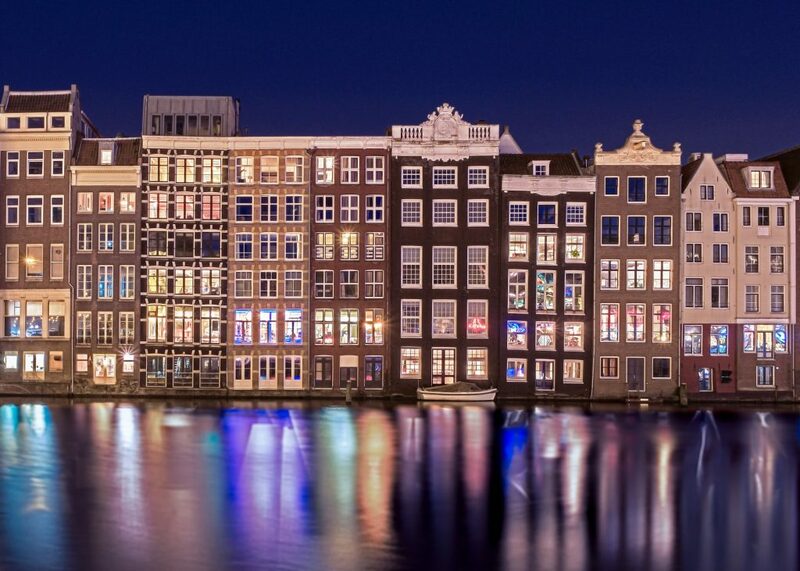 While many of the homes in Amsterdam appear this way, the iconic “Dancing Houses” are located on the Amstel river. The famed “skinny bridge” dates back to 1691 and, according to legend, was built by two wealthy sisters who lived on opposite sides of the river and wanted to be able to visit the other more often. Today the bridge remains open to pedestrians and is especially lovely at night when it is illuminated. 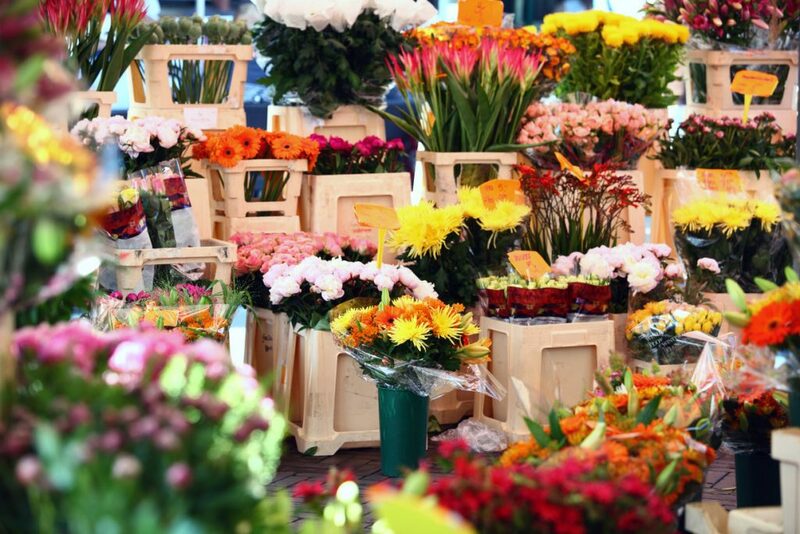 Amsterdam’s famed floating market is blooming with colorful bulbs – from tulips that you can ship home to plant in your own garden to fresh cuts you can purchase to take away. This vibrant space is as fragrant as it is colorful. 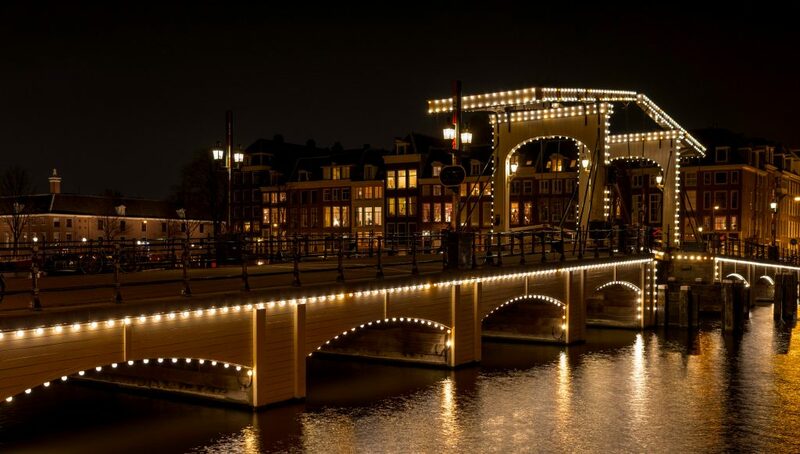 Damrak was the original mouth of the Amstel river but was filled in in the 1800s and now serves as the main street between Central Station and Dam square. The far end closest to the train station is a perfect place to capture a picture of the iconic architecture. 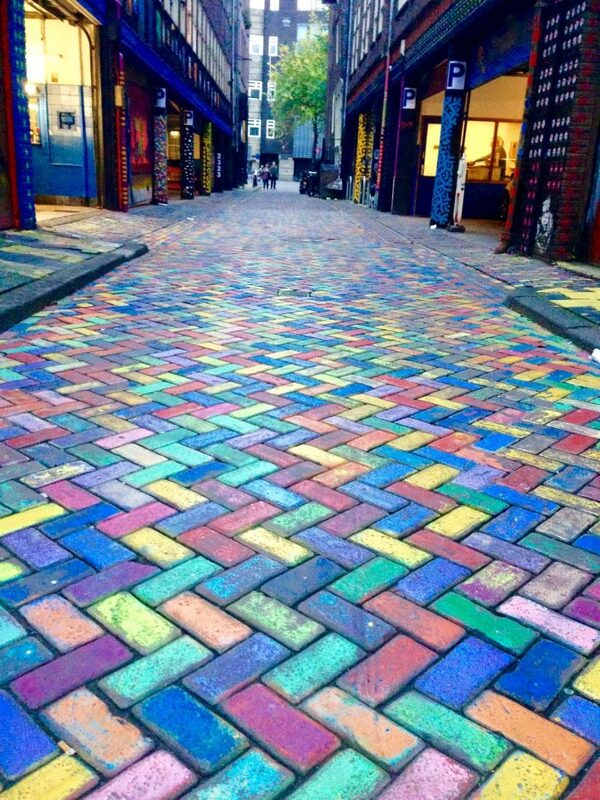 There are many vibrant, colorful and sometimes unusual street art galleries throughout the city. Areas like the Wijdesteeg and the Spuistraat are famous for their wall murals – the perfect backdrop for your photo!